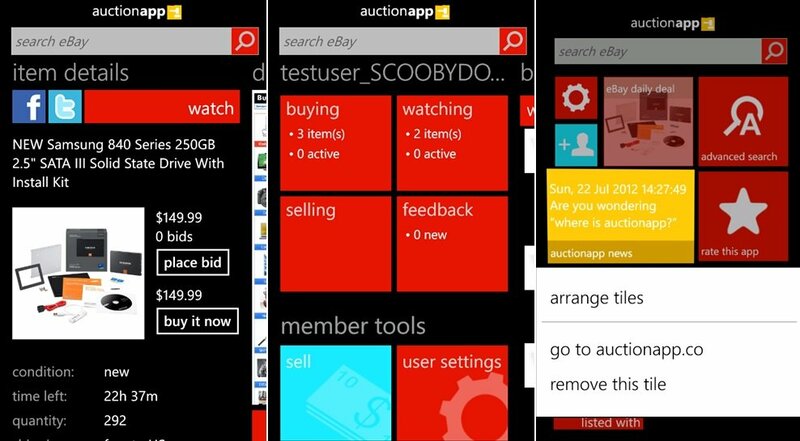 While we’re generally okay with the official eBay app for Windows Phone, there’s nothing like a little competition to keep things going steady in innovation. 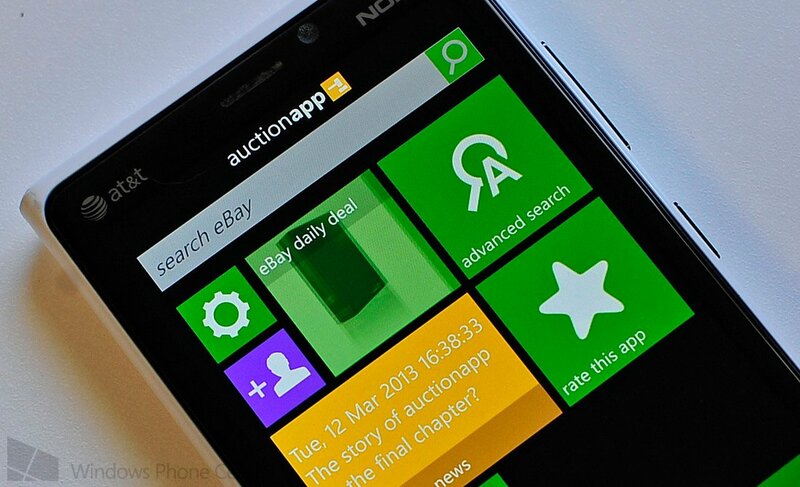 Such is the case with the newly released Auctionapp (Auctionapp.co) for Windows Phone (7.x and 8). The app is sanctioned by eBay having been “vetted” by their Partner Network and Developer teams, so it's legit. That’s good news as it means the folks behind this app can access eBay’s services and in theory, improve upon them (or at least offer a different experience). Auctionapp is now available to be downloaded and it takes an interesting approach to the UI design. The app itself is quite ‘Modern’ in the sense that it creates a Start-screen-within-a-Start screen. Those Tiles for different aspects of the service can be moved around (or even deleted) by the end user, giving a more customized feel. What’s more, since this app is a version 1.0, the developers note that we can “Expect frequent updates with new features coming soon!” meaning things will probably only get better.